Exciting night as a nominee at the 3rd Annual Voice Arts Award! Had a fun night on the Warner Bros. 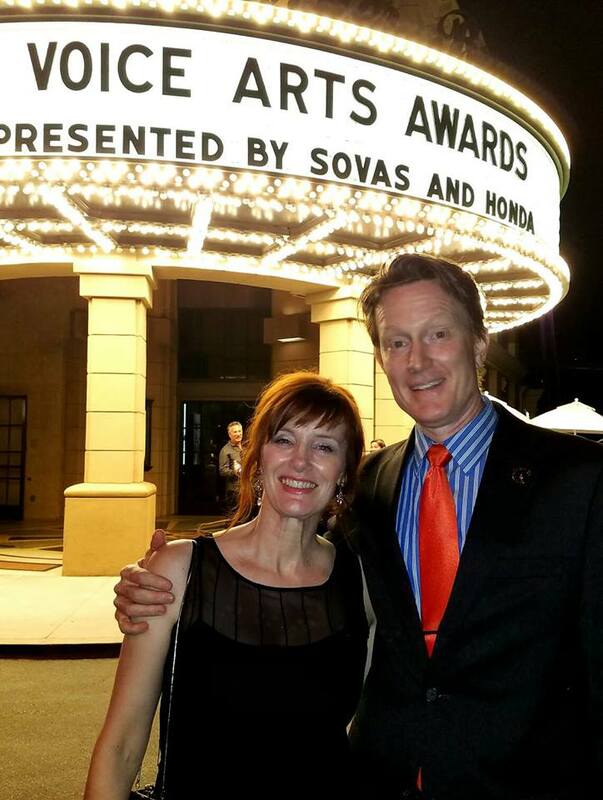 Studio lot last night as a nominee for the 3rd Annual Voice Arts Awards! Thrilled to be nominated with the cast of Hemingway in Love: His Own Story by A.E. Hotchner for the 2016 Voice Arts Awards. This was an exciting night! In this moving memoir of Hemingway’s life, I had the joy of playing Hadley Richardson. This, in addition to working with such an awesome cast, made this project a dream to work on. Our full cast includes: Alex Hyde-White, Joan Baker, Gabrielle de Cuir, Steve Marvel (pictured here with me) and Susan Hanfield. Hemingway in Love: His Own Story is published by Macmillan Audio and produced by Punch Audio. Many thanks to SOVAS and to our fabulous hosts Joan Baker and Rudy Gaskins for such a wonderful evening! Congratulations to all the winner and nominees! This entry was posted in Audio Books, Narration, News, Press, Voice and tagged SOVAS; Voice Arts Awards; Warner Bros. Studio; Hemingway in Love; Macmillan Audio; Hadley Richardson; Narration. Bookmark the permalink. ← Thrilled to be a nominee at the 2016 Voice Arts Awards!